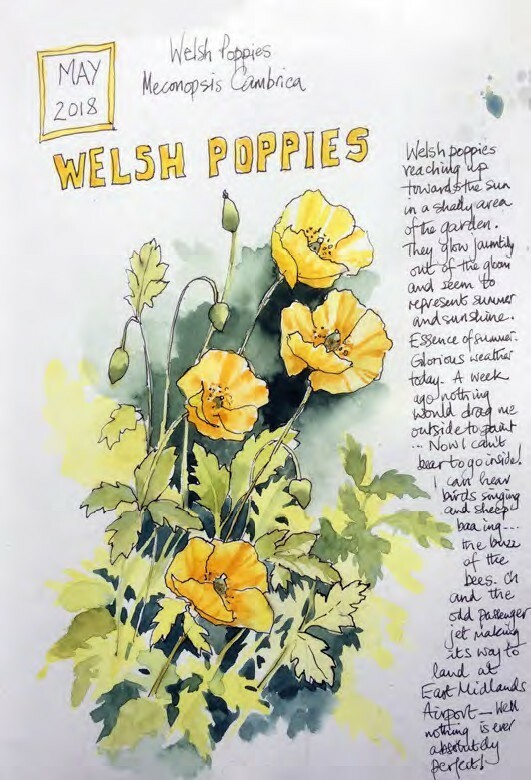 Welsh Poppies , pen and wash, A4. Here I started with an ink drawing of the poppies, added watercolour washes then fitted the writing around the illustration. It is fun to play with positioning the text and I often add more writing to the page as the design develops. 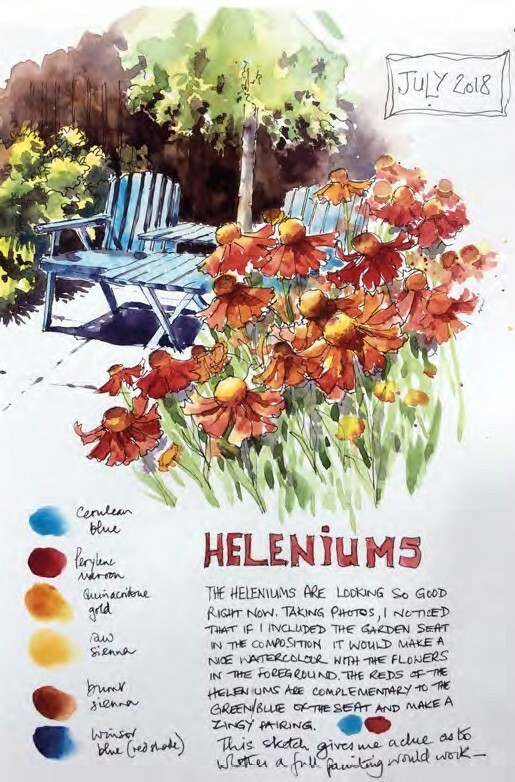 Heleniums and Garden Seat , pen and wash, A4. This is an example of how the garden journal can be a useful place to make a preliminary sketch for a possible larger painting. I enjoyed making the sketch without the pressure of producing a finished work. Title Page , pen and wash, A4. 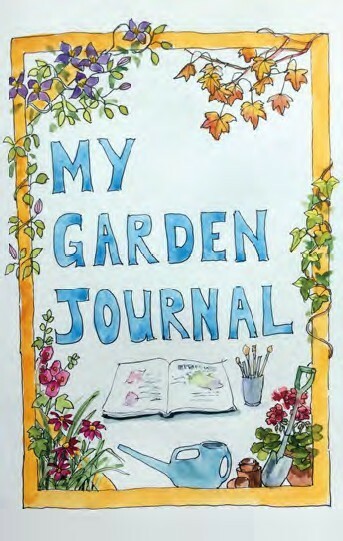 On this title page I wanted to include elements of my garden, such as favourite plants and gardening equipment. I made an outline with a fine liner then added watercolour. 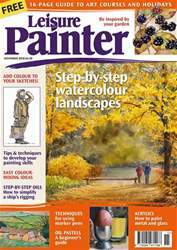 It makes a colourful introduction to the journal and was fun to do.